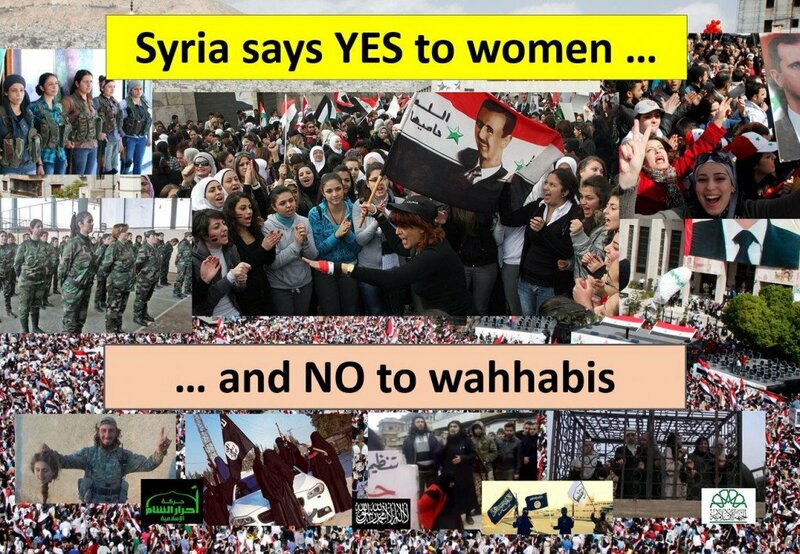 On International Women’s Day – The Syrian Arab Republic – the only genuinely pluralist nation in the region – was the first country in the Middle East and North African region (MENA) to give women the vote (1949, 1953) and the second after Lebanon to allow women to stand for election (1953). Syria was the first to have a woman elected to parliament (1973). Syria is way out in front, on 29. All other MENA countries (except Libya, data not available) have negative figures, meaning their income is not well transferred into human development (education and health). In Syria, life expectancy and infant mortality are better than its income levels would suggest, inequality is lower than average and ‘women’s health adjusted life expectancy’ is the best in the MENA region (Sources: UNDP 2014; UN Women 2011).